Ultra Mobile and its subsidiary company Univision have made some plan changes recently. The changes include removal of the $30 plans, the introduction of a new $54 plan, and the increase in data for the $45 plans. Mint Sim, also owned by Ultra Mobile, was unchanged. Comcast has been on the edge of launching its own mobile company since 2011, when it first signed a contract with Verizon. Now, six years later, it looks like the company has finally released details about the service. 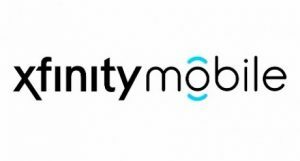 Branded Xfinity Mobile, Comcast’s new prepaid offerings look to be a decent value, but the best deals will be for Comcast customers. Pure TalkUSA, an AT&T MVNO, has made some minute changes to a couple of its Unlimited Plans and has simplified how its bundled Family Plans work. Fortunately, all of the changes are good. The family plan revamp, in particular, has been a long time in coming. TPO Mobile, a T-Mobile and Sprint MVNO that allows customers to give back a portion of their bill to charity, has changed up its first month discount promotion. For a limited time, the discount for the first month of service on select plans has been increased from 20% to 50%. Verizon MVNO Selectel Wireless has announced that it is phasing out free roaming for all plans. This move will happen immediately for new customers and current customers are expected to be migrated to the new Verizon prepaid platform sometime in the next week or so. 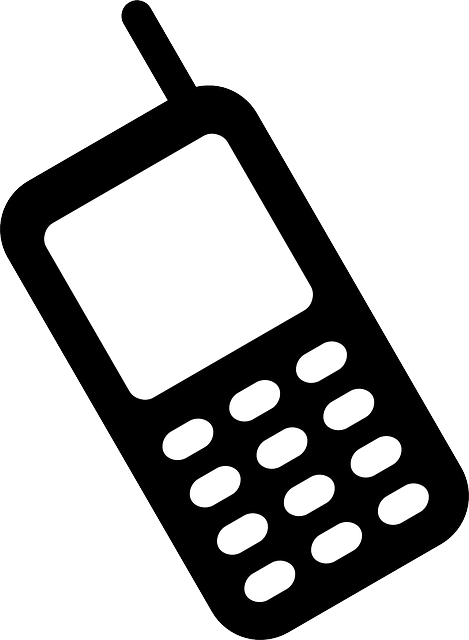 Current customers with 3G phones will have to call Selectel to make the migration, but 4G customers need take no action. Total Wireless was launched in 2015 by America Movil brand Tracfone as a Walmart-exclusive brand. The MVNO, which uses Verizon, had a bit of a rocky start and was plagued with the issues that tend to follow America Movil brands. However, despite still bearing the “Only at Walmart” brand on its site, the service has been spotted at Target and Dollar General stores nationwide. TPO Mobile, a Sprint and T-Mobile MVNO, has added a new plan to its lineup. The $15 per month Gentle Plan adds an option for customers who don’t use their devices as frequently. The new plan is the only TPO plan without unlimited text. Normally when an MVNO makes changes it is pretty incremental. Data goes up. Prices go down. New international locations are added. However, it looks like Best Cellular, an MVNO which offers plans from all four main carriers, has gone above and beyond and both increased data and dropped prices on several of its plans. A couple of weeks ago, a new Sprint MVNO, Faith Wireless, launched with a niche offering for religious smartphone users. Through Faith Wireless, customers can have 10% of every phone top-up donated directly to their church. The money, from what I gather, is donated on a monthly basis and does not include any processing fees—just straight 10% donation. The list of Sprint MVNOs to keep up with is vast—more than 30 at my last count—so occasionally we’ll miss some. One such MVNO is Twigby, which launched early last year. The company offers buckets of data and voice, much like Consumer Cellular or Ting, along with unlimited texting. And, it looks like the company changed its pricing pretty recently. Real Mobile, an AT&T and Sprint MVNO, recently made some changes to the data allotments for its AT&T (GSM) monthly plans. The Sprint (CDMA) plans, unfortunately, are unchanged. The changes are all for the good, and help make the MVNO more competitive in the market. Scratch Wireless, a Sprint Wifi-first MVNO, stopped signing up new customers in April 2016, stating that it needed to overhaul its businesses and services. Now, nearly 10 months later, it looks like the company is up and running again with some new rates. There is a new T-Mobile MVNO that has sprouted up recently. Mango Mobile has made its debut, adding to the long list of prepaid companies that operate on T-Mobile’s network. Sharing an address with AT&T MVNO Black Wireless, it looks as though the companies share a father company—presumably Sohel Distributor Incorporated (SDI), a supplier of prepaid phonecards for international calling. I thought since new MVNOs appear pretty often, and so many are short lived, you might like a little overview of what Mango Mobile has to offer. Read on! You might remember last week we wrote about a new company called Smartel which sold service on both Verizon and T-Mobile. What caught my attention was the insanely cheap T-Mobile plans–$35 for 10 GB. While originally open to all, these plans are now only available for businesses. T-Mobile MVNO Lycamobile is one of the many companies that doesn’t get a whole of press here on Prepaid Reviews, simply because it is actually a bit more stable than some of the other companies. While there has been some upheaval over the old SIMs versus the new SIMs, for the most part Lycamobile has some pretty interesting plan options for customers interested in international calling. And, for a limited time, you can get 15% off of a new plan and SIM purchase. 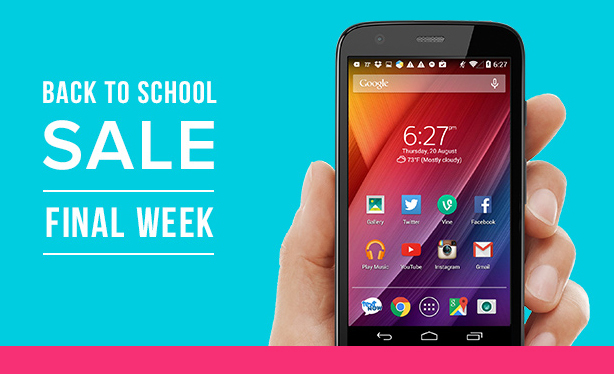 I almost hesitate to write about this, but TextNow is pushing the final stretch of its Back to School Sale this week and customers looking to take advantage of it might be able to score a free 2014 Moto G with the purchase of a monthly plan. Of course, supplies are extremely limited and the promotion itself will end in on September 20, 2015 or when supplies run out. There are a lot of different MVNO choices for customers looking for a good prepaid deal. But, for music and media fans, ROK Mobile is definitely worth a look. This little MVNO offers service through T-Mobile, Sprint and Verizon but more importantly it includes music streaming with its plans. And, starting in 2016 the company has announced that it will also offer unlimited video service for customers. Data lovers rejoice! 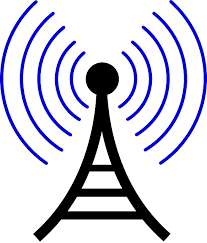 A new wireless reseller has been making a splash in the mobile community lately with a really great 10 GB plan price which happens to be discounted through September 20, 2015. The company, Smartel Mobile, soft launched a couple months ago and currently offers service through both T-Mobile and Verizon, with Sprint and AT&T coverage “coming soon.” The deal looks great, but it sounds like the company is a little shady. Despite being rather little-known, Jolt Mobile has been around since 1995 and offers fairly stable service through AT&T’s network. However, this MVNO recently made some pretty significant changes to its plan lineups including the discontinuance of its Affordable Flex Plans, which simply gave customers a set amount of money to divide between texts, minutes or MB. If you’re big on international calling, then T-Mobile MVNO Ultra Mobile is a company that you definitely should be familiar with. The company has a wide range of international calling options and some international minutes included with almost all of the available plans. And, the best new is that some of those rates are going down. RingPlus, a Sprint MVNO, announced earlier this week that it is working on what might be one of the most useless and ridiculous services to ever be offered to prepaid customers: the ability to link your Twitter account to your voicemail. The details right now are pretty vague and I have to admit that there are a select few people for whom this service might actually be helpful, but for the majority of users I expect it’s going to either be a waste of time or a colossal embarrassment waiting to happen. Verizon probably hast the best network currently so it’s no surprise that it’s the network everyone focuses on. We’ve talked a bit about several of the MVNOs that use Verizon, but easily the most popular one is Page Plus. And, while Page Plus is a TracFone company and doesn’t do promotions very much, Page Plus reseller Kitty Wireless does. Unsurprisingly, RingPlus has announced yet another promotion this week aimed at new customers. This little Sprint MVNO has been rolling out a flurry of promotions recently with a new one almost every week. It’s a little complicated and I’m not really sure what the reasoning behind all of the promotions is, exactly, but some of them are pretty good deals. Verizon doesn’t really have all that many MVNOs to keep up with, but one that we don’t write about a whole lot is Puppy Wireless. Owned by Page Plus reseller Kitty Wireless, Puppy is one of the newest Verizon MVNOs and it recently made some pretty significant changes to its plan lineup. Prepaid MVNOs come and go almost as often as the seasons. Some companies handle the switch really well and give customers notice, refunds and plenty of time to jump ship. Others simply fold in on themselves, close lines of communication and leave their formerly loyal customers wondering what on earth is going on. And, unfortunately, BYO seems to be falling in the latter category. As the deadline for moving all customers over is tomorrow, the information trickling out of BYO is more confusing than helpful. Today is a sad, sad day for the prepaid market. I discovered today that BYO Wireless has started hinting at what many have been speculating for months–that the company will soon be folded into Lifeline provider and parent company Budget Mobile. There isn’t a lot of information, but folks, it’s not looking too good. I haven’t written a lot about MVNO Harbor Mobile for a couple of reasons, foremost of which is that the company is a business MVNO and to sign up customers must prove that they are business owners. Sole proprietors and entrepreneurs are allowed. However, the company seems to have hit a rough spot a few months ago and abruptly stopped accepting new signups, leading many to speculate that Harbor Mobile was going under. But, as it turns out, they are instead simply jumping ship from T-Mobile to AT&T. RingPlus, that little Sprint MVNO that has been getting a lot of press here recently has announced that it will hosting a second round of its “Don’t Get Milked” promo which first went live last Sunday. Since I don’t generally work on Sundays, I didn’t get a chance to write about it, but it looks like this newest iteration of the promo is timed a little better. Ultra Mobile, the T-Mobile MVNO that focuses heavily on international calling, has announced several changes to its plan lineup. Several of Ultra Mobile’s plans received an upgrade including increased minutes, more data or additional countries available for international calling. It’s always nice to see an MVNO moving up in the world and expanding beyond an online presence. It looks like AT&T MVNO Pure TalkUSA are now available not only online but also in more than 1,600 Sears and Kmart stores nationwide. It’s always nice to see an MVNO moving up in the world and it looks like Sprint MVNO TextNow Wireless is doing just that. As of yesterday, the company announced that it will have a retail presence inside of Fry’s Electronics stores nationwide and that it will be offering two new devices. Good2Go Mobile, an AT&T and Sprint MVNO, did some major shakeup of its plans recently. In fact, it’s probably easier to simply say what HASN’T changed than what has, but I’ll do my best. We’ll take a look at a couple of the more important changes first, and then see what the plan lineup looks like! 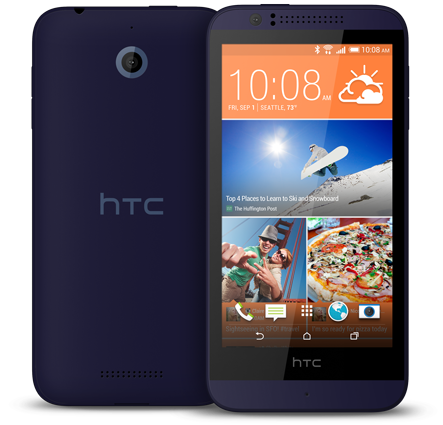 Late last month, a new MVNO entered the market. Launched by Unified Signal, the new company offers services through several of the Big Four companies and has more plan options than you can shake a stick at. It’s pretty insane. Being as they are extremely new, I haven’t tried them yet (obviously) but we’ll go over some of the major details in case you’re feeling brave and wanting to switch. Lots of different companies have discounts and special benefits for military service veterans and current military members. And it looks like as of today, Pure TalkUSA should be added to the list. This AT&T MVNO debuted a new line of slightly discounted plans, called Serve and Save Plans. These discounts are for verified military members only and come with a couple other benefits on other partner sites. So, apparently H2O has made some pretty major plan changes, nearly all of which I pretty completely missed. Oops. Anyway, I noticed them, finally, and wanted to give you all an update on the company and its plan changes. It looks like since we last wrote about H2O they have not only added several unlimited plans but also increased data and debuted a limited time offer with unlimited calling to Mexican landlines. Whew! The company actually is fairly competitive now and worth a look if you like AT&T’s coverage. Things are always changing in the mobile industry, and the prepaid sector sees those changes far more than just about anyone else. Continuing the host of recent changes to various prepaid carriers, Lycamobile looks like it has made some major shifts in its plan offerings of late including cutting prices and adding data or international calling minutes. RingPlus, a Sprint MVNO, has made a lot of changes in the last couple of months including debuting an entire new line of plans and adding two free plans to its lineup. Well, it looks like RingPlus has been listening to its customers yet again and has added some data, text and minute add-on buckets this week. Last year, UK company The People’s Operator (TPO) raised funds to expand to the United States and in January officially announced that it would be launching this year with Sprint’s network. Well, according to an article by USA Today, TPO is expected to formally launch its US offerings as soon as next Tuesday. If you were one of the dozens of people who had some issues signing up for a new RingPlus plan over the last few days, be comforted to know that you weren’t alone. And, furthermore, not only are the issues fixed, but RingPlus is offering top-up bonuses to all potential customers and all customers whose phone connections were compromised. Reuters reported on Thursday that Mexican telecommunications giant America Movil is considering adding some form of international roaming between Mexico and the United States for its postpaid and eventually prepaid plans. America Movil currently owns several of the largest prepaid companies including TracFone, Straight Talk, Net10, Simple Mobile and Page Plus Wireless.